Located in Downtown Littleton, Dirt is on a mission to bring you quality crafted coffee, food & drink while employing & empowering individuals with autism. Did you know that 90% of individuals with autism are either unemployed or underemployed? 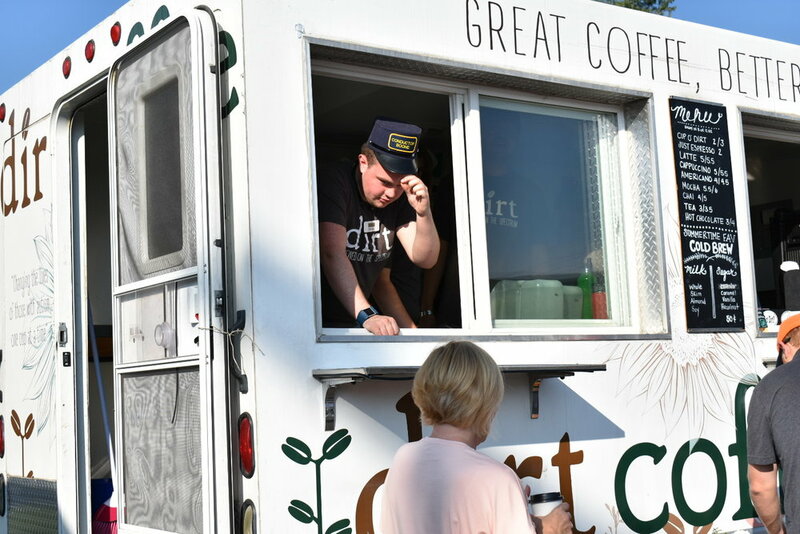 Founded with the idea that people with differences deserve better, Dirt's mobile coffee truck hit the ground in 2013 on a mission to change minds and change lives one cup at a time. Since it's inception, our mobile truck has trained and employed 26 individuals with autism and related disabilities while providing over $32,000 in scholarships to families in need and their caregivers. From the ground up, our shop will go further to cultivate a culture of acceptance, inclusion, and opportunity while empowering others to do the same. Are you in love yet? Dirt breaks the expectation that a good cause comes with a lack of quality. Our baristas are socially conscious and craft a damn good cup of coffee. What's in the cup is great, but what's beyond the cup is life changing. Throughout her career, Lauren has founded organizations, like Dirt, with a mission to empower individuals living on the spectrum though community. She has served on a number of boards including Colorado's Coalition of Autism Professionals, Autism Society of Colorado, South Metro Denver Chamber of Commerce and Alliance. In 2016, Lauren was elected to serve as City Commissioner on Denver's Commission for People with Disabilities. While advocating for public policies that positively impact individuals with disabilities, she continues to serve as Chair and Executive Director of both Dirt and Garden. Robby has been with Dirt since the very beginning, first as an intern, then as a mentor and now as a manager! Robby is a talented artist and videographer. When he's not at Dirt, you can find him producing videos for local organizations, including Dirt. Now working full time and living independently, Robby embodies Dirt's mission each and every day. Daniel loves to make people smile and is passionate about trains. After graduating from high school, he began interning at Dirt and as they say, the rest is history. Dirt wouldn't be what it is today without Daniel. Whether he's dancing, singing or managing the pick up window, Daniel is sure to brighten up anyone's day. Next time you're in, make sure you say "hi" to Conductor Boone! Ready to give beyond the cup? Help us build a culture of acceptance and inclusion. Your gift will allow us to employ and break down barriers for individuals with autism. Ready to get involved? Whether it's serving on our Board of Directors, pouring a cup of coffee or mentoring a person with autism, there's a place for you at Dirt. Are you a neurodiverse teen or adult ready to cultivate skills towards competitive and integrated employment? Then you're in the right place! Dirt offers individualized paid internships for individuals (16 and up) with autism and related disabilities. Work, learn and grow with Dirt! Passionate about coffee & care about our cause? Join our neurodiverse team of socially conscious coffee connoisseurs! Full and part time positions seasonally available.